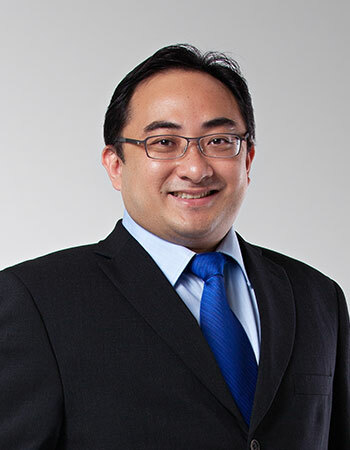 Dr Roy Koh graduated from NUS in 2000 and subsequently obtained his Basic Surgical training in 2004, MRCS (Edin) and Master in Medicine(Surgery) in 2006, before enrolling in the Neurosurgical Advanced Surgical training in 2008. In 2010 he went on a fellowship with the Neurosurgical Department in Addenbrookes Hospital, Cambridge, which was headed by Professor John Pickard. There he spent a year training under one of UK’s top spinal surgeons, Mr. Rodney Laing. After his success in the fellowship examinations (FRCSEd Neuro.surg), he returned to work in Khoo Teck Puat Hospital (KTPH) as a consultant neurosurgeon in the Department of Surgery, during which he was pivotal in setting up the combined spine service in Khoo Teck Puat Hospital, being the first neurosurgical spine consultant there. Dr Koh left to private practice in 2014 to pursue a more holistic and efficient care for his patients. He continue to serve as a visiting consultant in KTPH where he is involved in training of medical students, fellows and trainee surgeons. Dr Koh has expertise to manage a wide variety of neurosurgical and spinal problems. His interest lie in minimally invasive (aka keyhole) spine surgeries, such as tumors, degenerative and trauma related spinal problems, and has also performed Singapore’s first minimally invasive removal of a spinal tumor, as well as other spine surgeries, from simple discectomies, laminectomies, TLIF (transforamina lumbar interbody fusion), cervical fusion and disc replacements to complex scoliosis and deformity corrective surgeries and spine tumors. He is also trained at managing neuro-oncologic and neurovascular pathologies, performing microsurgical revascularization for stroke patients, clipping of cerebral aneurysms, excision of brain tumors, evacuation of intracranial hemorrhages, skull base surgeries and more. Minimal access neurosurgery, using endoscope and needlescope, for conditions such as pituitary tumors, sympathectomy for palmar hyperhydrosis are all well within his repertoire of procedures. He is also trained in the use of Gamma knife radiosurgery for cerebral metastasis, vascular malformations and trigeminal neuralgias. Dr Koh has been active in pursing his love for neurosurgery and spine surgery. He organized the first Bedside ICP course in KTPH in 2011, was course chairman for the recently concluded Fundamentals in Minimal Access Spinal Surgeries held in Khoo Teck Puat advanced surgery training centre in National University Hospital in July 2014. He has also been an invited surgeon to places like India and visiting specialist surgeon for the Vietnamese Neurosurgical Congress in 2013, showcasing his new minimally invasive spine techniques to our neighbours. Dr Koh is also an Adjunct Assistant Professor in the Yong Loo Lin School of Medicine, where he is an MBBS examiner, and actively involved in training of the next generation of doctors.